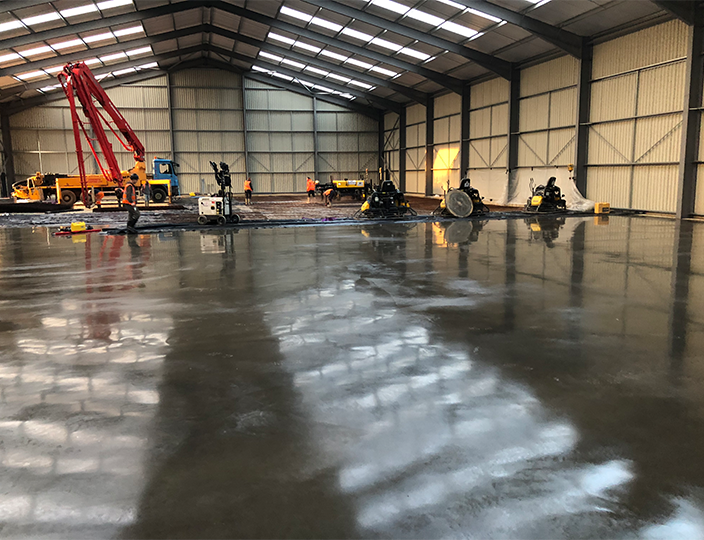 Level Best are on track to complete another warehouse concrete floor slab project in Sleaford on schedule. The floor is 7,000m2 in total and Level Best are casting the slab reinforced with two layers of mesh utilising their Ligchine laser screed. Independent flatness surveys are proving the floor is being laid to the flatness tolerance FM2 as per TR34 2013 edition. More information on this concrete flooring project will be provided in our case study section of the website upon completion.